Gary D. Gribble was the Director of Bands at Pope High School from 1987–2018. Mr. Gribble earned his Associate Degree in Commercial Music and his BMuEd from Georgia State University. He earned the MA in Music from the University of Hawaii at Manoa. 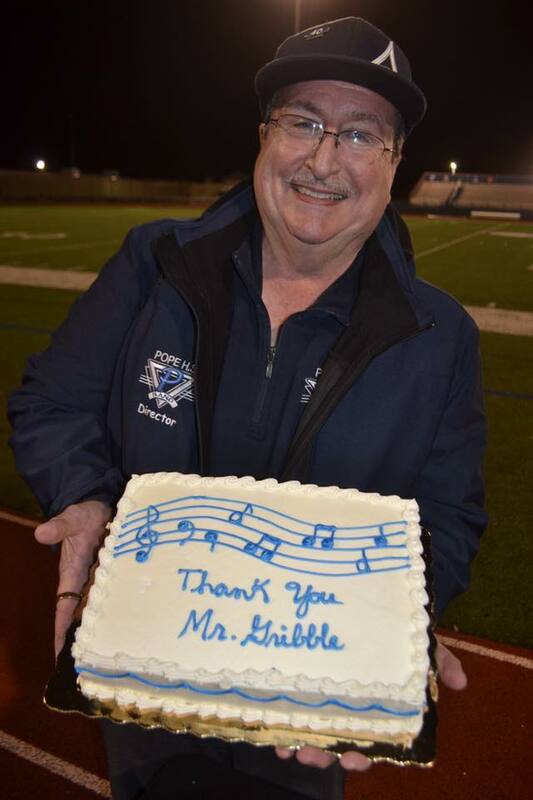 Mr. Gribble has served as an adjudicator, guest conductor, and clinician in Georgia, North Carolina, South Carolina, Kentucky, Illinois, Tennessee, and Florida. 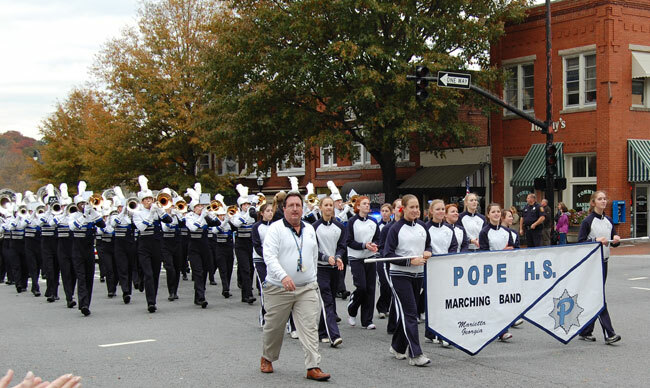 Under his direction, the Pope HS Band has earned over 400 awards of excellence and has been a Bands of America Region champion, a regional finalist 19 times, and a Grand National semi-finalist twice. The Pope Band received the prestigious “Sudler Shield of Marching Excellence” from the John Philip Sousa Foundation. The band has marched in parades across the continental U.S., in Hawaii, and in London, England. The Pope Symphonic Bands have performed in state, regional, and national concert events, including four performances at the GMEA State Conference and four performances at the Bands of America National Concert Festival.